Absence of the retinal tissue at the macula (central part of retina responsible for detailed vision) is referred to as macular hole. Macular holes can be seen secondary to certain conditions like high myopia, macular pucker, injury, Bests disease etc. These can occur at any age. 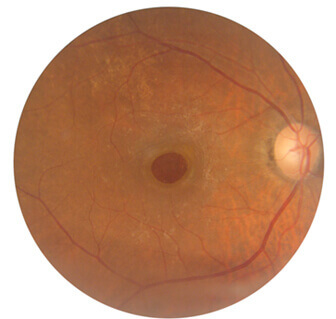 The idiopathic macular holes are common in people over 60 as the disease is due to aging. 80% of eyes interior are filled with vitreous, a gel like substance which helps to maintain a round shape. It contains millions of fine fibers attached to the surface of retina. With age vitreous slowly shrinks and pulls away from retinal surface. In most cases there are no adverse effects. Some persons may experience floaters which are little specks or cobwebs that seem to float about in the field of vision. However, if the vitreous is firmly attached to the retina, it can tear the retina and create a hole. If the hole occurs at the macula it is called macular hole. Three stages are seen during the development of macular hole. During early stages visual disturbance is slight with straight lines appearing wavy or bent. Central vision is completely lost in full thickness hole. 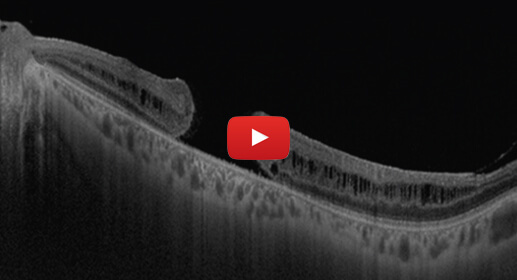 If left untreated macular hole may lead to retinal detachment a sight threatening condition. If a macular hole exists in one eye there is 10-15% chance of developing a macular hole in the other eye. 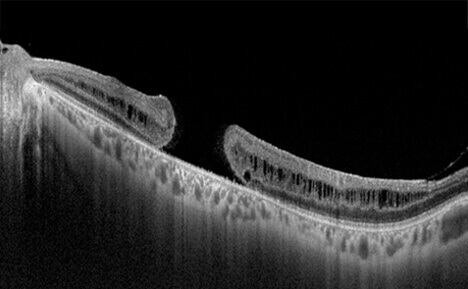 Ocular coherence tomography (OCT): High resolution cross section of the retina allows the physician to detect the presence of a macular hole as well as changes in the surrounding retina including vitreo macular interface. 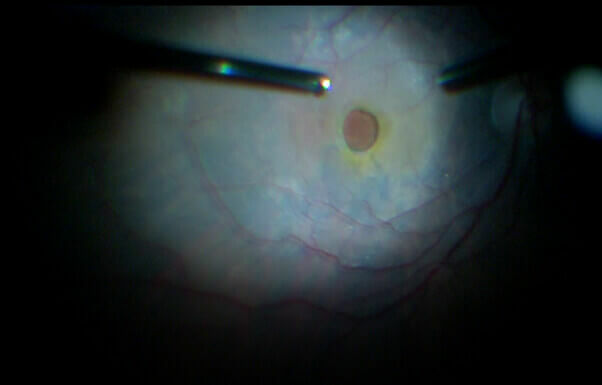 It also helps to assess the prognosis following macular hole surgery. Surgery is necessary in many full thickness holes to help improve vision. Surgical procedure is Vitrectomy in which vitreous gel is removed to prevent it from pulling on the retina and replaced with a bubble containing mixture of air and gas. This bubble holds the edges of the macular hole. The procedure is done as an day care surgery under local anesthesia. Patient must remain in face down position following surgery for 3 days so that the air bubble presses against the macula. Patients are advised to avoid travel by air for about 2 weeks as the bubble in the eye expands due to changes in air pressure thus increasing pressure inside the eye. 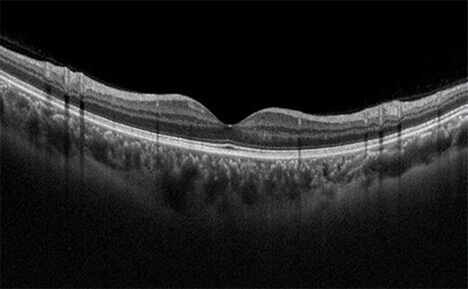 Vision improvement following surgery varies from patient to patient. People that have had a macular hole for less than 6 months have a better chance of recovering vision than those with longer periods as well as cases with smaller size of holes have better outcome. Pre-operative and post-operative pictures of a patient with cataract and macular hole. 25 Gauge vitrectomy with phacoemulsification + IOL done.